US-facing site Americas Cardroom knows that running a top-notch online poker site means running great promotions 12 months a year. You probably heard about their recently-finished OSS Cub3d. It had well over $8 Million in guaranteed prize pools, including two $1 Million events. Coming this April 17th-21st is the return of one of their most popular series. 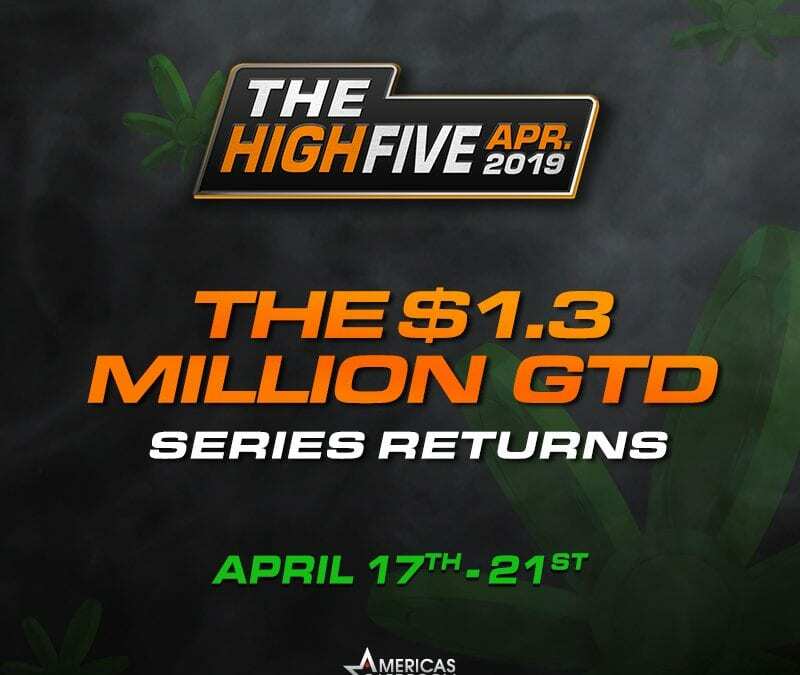 It’s the High Five Tournament Series and while it’s smaller than the OSS Cub3d with $1.3 Million guaranteed, it captures attention in a different way. This is the series that is cheekily associated with 420. It starts with a daily 10-minute “courtesy break” at 4:20pm ET, but there are also lots of marketing taglines like “tell your buds” and “blaze the competition”. 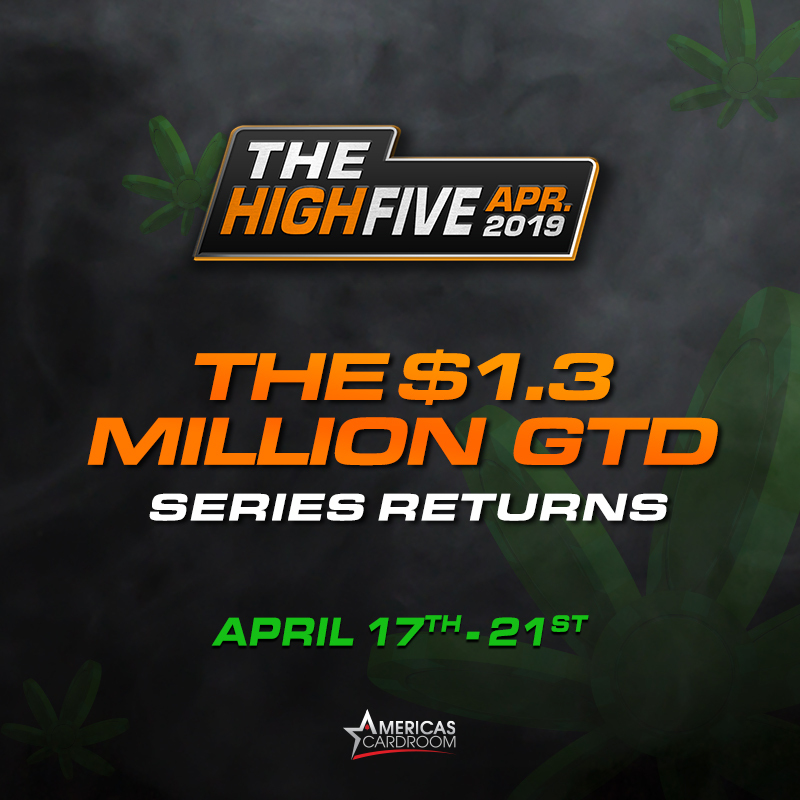 We prefer to concentrate on the great poker action of the High Five instead of the 420 stuff. There will be 25 added tourneys (5 per day). The $420,000 GTD Main Event on the final day at 4pm ET has a buy-in of $420+30, but satellites are available to qualify for pennies on the dollar. And when the High Five is over, something gigantic comes next. It’s Americas Cardrooms $5 Million Venom this July. This tournament has a $1 Million first-place prize and is the biggest ever hosted by a US-facing site. For the full High Five tournament schedule, click here. Read our full review of Americas Cardroom here.